​​Wolves goalkeeper John Ruddy has revealed he came very close to joining ​Chelsea from Norwich City in the summer of 2013, and has opened up on his reasons why the move to Stamford Bridge failed to materialise. Speaking to Jake Humphrey on BT Sport on Saturday night - following Wolves' 2-2 draw with Everton - the former England goalkeeper revealed experiences of being "shipped out on loan" played a big part in his decision following his early career days at ​Everton. The Blues were looking for a number two goalkeeper at the time after Jose Mourinho took charge for a second spell - and to up the club's English player quota for European competition - but saw ​a number of bids turned down. 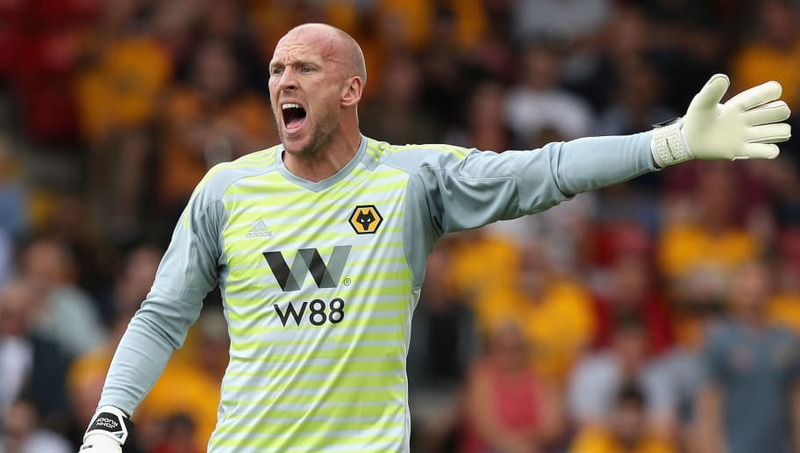 Ruddy was posed the question after joining the BT studio to discuss Wolves' return to the ​Premier League, and his demotion to second-choice goalkeeper at Molineux following the arrival of Portuguese star Rui Patricio over the summer. Opening up on his possible move to Stamford Bridge though, Ruddy revealed the reasons why the proposed move had broken down. Asked how close the move came, he said: "Close enough. A fee wasn't agreed, which was a stumbling block, but a number of bids went in, I believe. @btsportfootball big respect to John Ruddy, couldn't have been easy to be as diplomatic as he was. "It came completely out of the blue. My approach on it was, I said to ​Norwich at the time and (then manager) Chris Hughton, that I was happy. My family was happy at Norwich, I was playing week in, week out, I was 26 or 27 and involved in the England squad. "There was a possibility of going to the World Cup at the end of the season coming, so for me, I was in a position which I didn't want to give up. "I'd spent five years at Everton - they're a fantastic club - but I'd spent five years there being shipped out on loan left, right and centre. I didn't want to go back to doing that. I'd worked hard to get into the position of being first choice at Norwich and I didn't want to give that up. "I didn't think there was any need to move, I was playing well - probably the best spell of my career at the time. But that season ended with relegation, and I didn't make the World Cup squad!" Ruddy watched on from the bench on Saturday as Ruben Neves and Raul Jimenez each slotted home to earn a point on their return to the top flight. Richarlison's double had twice put the Blues in front, but the spoils were shared.